‘Come along and support YOUR Todmorden’. That’s the clarion call from organisers of the Todmorden Country Fair ahead of its inaugural event this weekend. 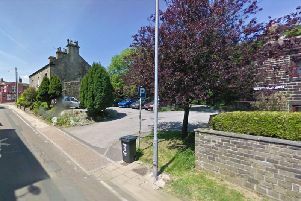 It will be held on Saturday at Centre Vale Park and the idea came about after the Todmorden Agricultural Society announced its show would be moving to a new site over the Lancashire boundary to Cliviger after weight restrictions were imposed on the park. But undeterred, a group formed to organise the fair in a bid to fill the hole left in the town’s social calendar. Secretary Mike Hall said: “It has been a struggle - this is our first year and yes we will make mistakes but the aim is for a great safe family day right here in the centre of Todmorden for all the people of Todmorden. “We started with nothing and the response through sponsorship, donations and foundation members has been awesome, people from all over the town have been great and the support means we will succeed. Horses, sheep, ferrets, dogs and donkeys are all lined up to join a huge range of attractions and stalls. There will be children’s rides, bouncy castles, sheep racing, Shetland pony displays and falcon displays. There will also be performances from local bands. Organisers say the problems Centre Vale Park has presented in the past have been dealt with and Calderdale Council is content the town’s flood defences won’t be damaged through the event. More information about the fair can be found at www.todmordencountryfair.co.uk and tickets can be bought online or from a number of shops in the town. Before the day, children five and under go free, for ages six to 16 tickets cost £3, adults £6 and a family ticket (two adults and two children) is £15. At the gates on Saturday, children five and under go free, for ages to six to 16 tickets will be £4, adults £8 and a family ticket will be £20. Parking will also be available for £3. Foundation membership is still available and organisers are still calling for an army of volunteers to help. If you can spare a few hours on the day, please contact info@todmordencountryfair.co.uk or 07768049722.